What can you add to your diet that is 100% natural, free, healthy, low in sodium; calories, fat, and is cholesterol free? Water! And did you know that without water we will only survive about 3 days? It makes up 70% of our body weight, 75% of our muscle, 83% of our blood, 85% of our brain, and 22% of our bones. Water is essential for our body to function properly. It helps to transport fats, proteins, carbohydrates, oxygen & hormones that regulate your metabolism. It lubricates joints, keeps skin healthy and glowing, reduces headaches and dizziness, regulates body temperature, and helps dissolve nutrients to make them accessible to the body. Water lessens the burden on the kidneys and the liver by helping flush out waste products, and it helps with weight loss as it assists in removing the by-products that occur with the breakdown of fat. Water is one of the most vital ingredients our body needs. So what’s stopping you from drinking more water? You need at least 64 ounces a day or more specifically take your weight, divide it in half, and that is the amount of ounces you need a day. It’s the most simple and accessible way to look better, feel better, lose weight, and be healthier! But Sonia, water is so…plain! Believe me, I hear that almost every day. You might be tempted to add low-calorie sweeteners or flavorings to your water, but taking such measures doesn’t come without risk. Artificial sweeteners and flavorings are loaded with chemicals that your body simply doesn’t need. Try a quick fix like adding a few cucumber slices and mint leaves to your next glass of water. Or if you are really feeling adventurous, try this recipe for Sassy Water! 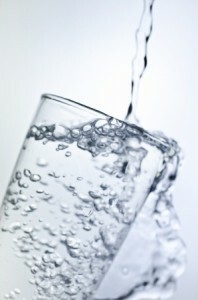 Sassy water contains zero calories, is a natural diuretic, and natural anti-inflammatory. Prepare the night before. Strain the next morning and drink it throughout the day.